Are you a McGill community member? 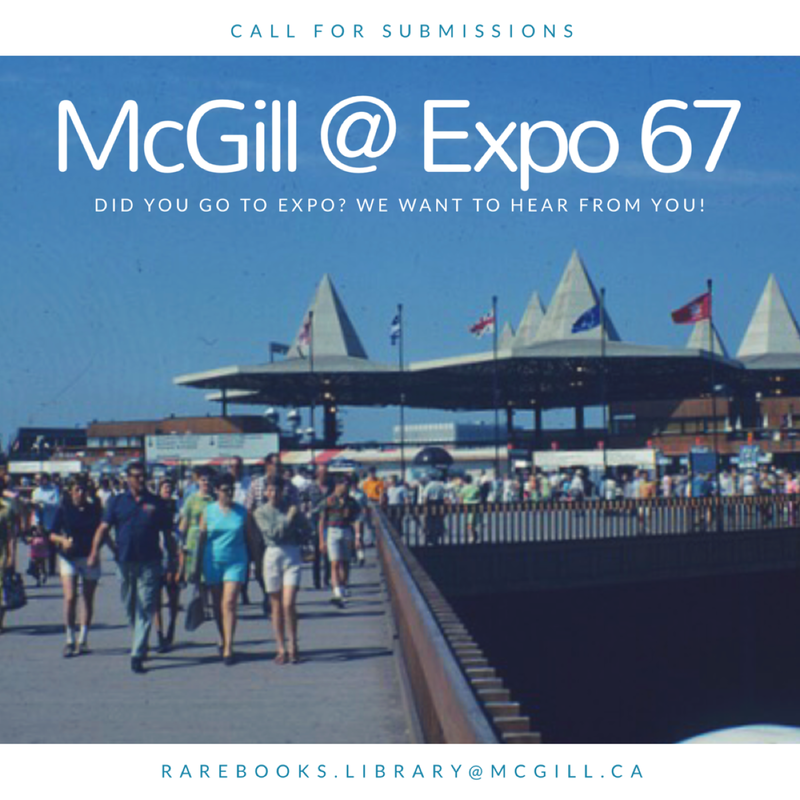 Were you at Expo 67? This fall, McGill Library and the McGill School of Architecture will exhibit our collection of Expo ’67 memorabilia and ephemera in the lobby of the McLennan Library Building. We would love to borrow and feature your personal expo-related items (i.e. expo passport, badges, photos, albums, souvenirs, jewelry, postcards, ashtrays, dishes, etc.) to include in the “McGill @ Expo 67” display. Please contact us at rarebooks.library@mcgill.ca before August 1st for more information. This exhibit is curated by Annmarie Adams, Jennifer Garland, and David Theodore. Sponsored by the School of Architecture and hosted by McGill Library. Want to see more images from Expo ’67? Check out our Dixon Slide Collection website! Enjoy our collection of original photographs taken at the 1967 World Exhibition that took place in Montreal, Quebec on April 28th through October 29th. ‹ McGill Book Fair needs your help!